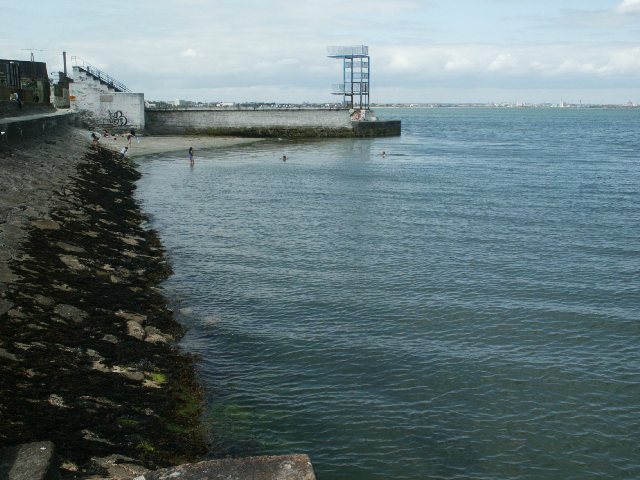 Blackrock Thalassic baths had the one and only sea-side high diving platform in Dublin and probably the only one in the whole of Ireland but the baths were shut down some years ago and all the structure has gone into disrepair awaiting to be 'rescued' by some developer type. reigned here as the undisputed springboard diving champion of Ireland for 30 years; born in 1910 he dived into Heaven in 1985 to the great sadness of his friends of the Sandycove Swimmers Club, with whom he had had many years of fun spring-boarding at the Fortyfoot. 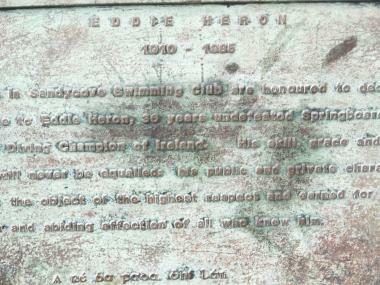 A plaque to his memory is to be seen at the entrance to Blackrock Baths.